The Magpie's Nest...: Is it now Mullet the Mystic? Was our mayor channeling Sir john Kerr and his memorable Melbourne Cup presentation of 1977, with her performance at the V8s last weekend? Some people seem to think so. The Magpie doesn’t. Is it now Mullet the Mystic? Was our mayor channeling Sir john Kerr and his memorable Melbourne Cup presentation of 1977, with her performance at the V8s last weekend? Some people seem to think so. The Magpie doesn’t. No, no, NO, you’ve got it all wrong! It has been unkindly and, for this bird’s money, inaccurately rumored that Mayor Mullet was – to use the pommy vernacular – tired and emotional as a newt at the end of Saturday and Sunday’s vehicular diversions. The ‘Pie will reveal his cunning theory about this whole brouhaha, something the blokes have missed through their own uncaring male chauvinism. 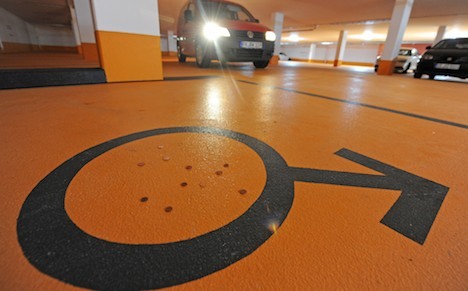 Speaking of mayors and chauvinism, we’ll briefly visit a very brave council boss in Germany, who has created ‘men only’ parking spaces in the council garage … and why the frauleins love him for it. 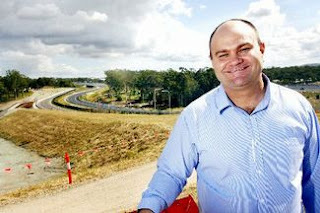 We also take a gander at where some of our defeated pollies are occupying themselves these days. There is have been persistent and strident rumors that our selfless civic leader, Mayor Mullet, had partaken a little too generously of her own (ie ratepayers) hospitality in the Townsville City Council box at the V8 hootenanny last weekend. The Magpie wasn’t there, but caught some of the race and presentation action on the box. The MagpeFone also got a fair old workout with a number of calls, suggesting that Mayor Mullet appeared a little unsteady on her pins. Mayor Mullet bendsTony Cochrane's ear. 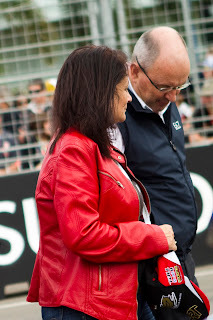 A couple of these misguided folks suggested that during the presentations on both Saturday and Sunday, The Mullet was so befuddled that on Saturday she almost presented the team trophy to the wrong person - quite unusual for someone who is a self-confessed petrol head – and on Sunday, almost dropping the silverware when presenting second placed Craig Lowndes with his trophy. Some who were there have told The ‘Pie they couldn’t tell whether it was nerves or hooch affecting the mayor. But Stephen Lane, the (adult) son of Clr Jenny Lane, unwisely decided to take to Facebook to publicise the rumors that an unnamed but easily identifiable person had been into the drinks cabinet. This appeared to spur others on to join in the gleeful yowling, swearing the unnamed person had been on the turps big time. But Mayor Mullet, she of the sledgehammer school of diplomacy, cried foul, and went spectacularly public. It was about as subtle as a grenade in a bowl of porrige - and about as messy. She told The Astonisher that she wasn’t drunk, and apparently as evidence of this, said that she had even driven herself home on the Saturday. The mayor added that she had referred the matter to the council legal department with a view to suing the Facebook author for defamation through what she called his ‘politically motivated comments’. This raises a couple of interesting questions, Mullet m’dear. Stating that you drove yourself home proves nothing about your state of your sobriety, plenty of people drive when they shouldn’t (as The Magpie knows only too well). And just what has all this to do with the council? The ‘Pie idly wonders what the ratepayers will think of a cash strapped council paying for a tenuous but inevitably expensive defamation action which appeared aimed at the individual, not the office. In the seemingly unlikely event that you go ahead, and even more unlikely, are awarded damages, will you then give the dough to the council because it had footed the legal bill? One suspects that when legal officer Tony Bligh, who has a well-developed sense of impish humor, has stopped rolling around the floor in helpless mirth, he will keep a straight face long enough to ‘tell her she’s dreamin’’. But The ‘Pie believes you, Mullet, and since you are too modest and/or embarrassed to tell the world the real problem, your pal The ‘Pie will. You see, the real situation is so obvious it sticks out like Pricey’s probiscus – it wasn’t booze, it was shoes. That’s right, the mayor’s shoes were too tight. There are some guys out there who give us SNAGs a bad name (Sensitive New Age Guy or. in The ‘Pie’s case, Sarcastic Nasty Ageing Gasbag ). The only exercise some of you get is jumping to conclusions or drawing a long bow. Well, it’s jolly well all right for you. Going to the car races? Just throw on a singlet, shorts and thongs and Robert is your mother’s brother. Not so for the gals. Did any of you give a single moments thought to the anxiety and effort females go to, to create the right impression? And just how heightened the tension and apprehension was for Mayor Mullet, knowing she was going to be on the national stage? Did you ever give a sympathetic thought to just how many hours, days, perhaps even weeks, that Jenny had to agonize over and finally choose that suitable outfit of red vinyl jacket, fashionably faded black(ish) T-shirt, delicately distressed jeans and suitable footwear to round out the ensemble? Now, The ‘Pie didn’t spot the footwear, but if it was to complement the outfit, it could not have been Jenny’s rumored Doc Martens, there are too comfortable. Maybe The Mullet wore something like this? The ‘Pie’s best guess would be snakeskin half-heel riding boots, the sort that make even the toughest rodeo rider walk like a pigeon-toed mincing fairy. None of you blokes gave a thought to the agony our brave little trooper was going through, but THAT is why it was if she tottered and wobbled at some stages. Especially late in the day after so many hours of blisters and cramped toes. And can there be any doubt about the waves of blinding pain she suffered when presenting trophies? And indeed, was it actually a fumble? Or a deliberate light-hearted moment of pretense while telling driver Craig Lowndes she’d drop it and give him a ‘real lead foot’ tee hee. So that’s the truth of it as far as The ‘Pie can fathom. Now consider this photograph which hitherto in another forum purports to offer some sort of proof that the mayor had got stuck into the old white infuriator a little too enthusiastically. Nonsense, no such thing, What some detractors claim was a fumble with the second placegetter’s trophy, indicating that the mayor was a bit OliverTwist was nothing of the sort. It was in fact clearly an episode of gay, light-hearted banter (for which the mayor is so renowned) with Craig Lowndes, who said he didn’t have room for any more trophies and tried to give it back. It is obvious the exchange was greatly appreciated by that pretty gal in the background, who would not be laughing if something as serious as a dropped trophy had nearly happened.. And suggestions that winner Jamie Whincup’s expression was one of shock at a near-drop is pure fantasy. 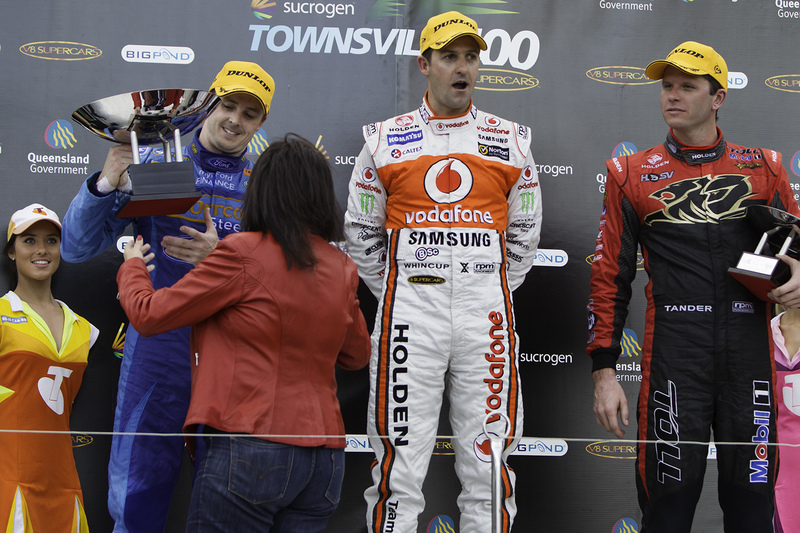 Take it from a bloke, it is clear Whincup was quite taken with the mayor’s fashionable ensemble, and was more than likely thinking ‘Cor, what a scorcher’ and contemplating Jenny’s much publicized ‘hot lap’ in a very different context. Even Garth Tander, on the far right, was openly trying to sniff the mayor’s bewitching scent, believed to be Eau du Mullet (pron. Oh-do-mullay). So it was tight shoes, not booze, OK? 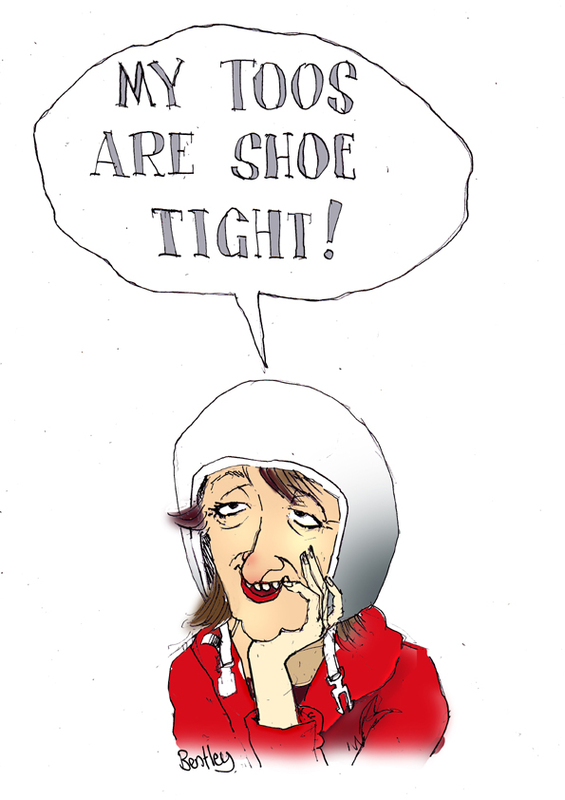 Mind you, resident ’toon man Bentley was mightily confused by the whole matter, and saw an exhausted mayor agreeing with the shoe theory after her 'hot lap'. – designated with this unmistakable sign – are for men only. But it appears it may be a case of Herr Strobel The Noble – maybe. The gent’s parking spots are small and hard to get into, whereas the others left for the females are wider, better lit and closer to the door. This is all because the mayor reckons that females have more trouble parking than the fellas. Read the story here, but whatever you do, don’t show it Jenny Hill, she has enough trouble with things to do with vehicles just now. In the first of occasional looks at where some of our former pollies have gone and what they’re up to, The ‘Pie can report that his speculation about Cuddlepie Wallace has proved to be right on the money – which is, it would seem, the right cliché. The road leads north for Cuddlepie. It is reliably reported that he will shortly hie himself and family off to live in China – Shanghai has been mentioned. A good move for our Home Hill boy, since he is married to a delightful Chinese lass and he speaks fluent Mandarin. This places him in a good position to get some sort of appointment representing private interests or from Canberra – Austrade, maybe – to get a nice little $200k+ earner to supplement the $110,000 annual Queensland parliamentary pension, which is his for life. Next time you think there is a mini-earthquake around here, don’t be alarmed … it is just Cuddlepie landing on his feet. Good luck to you, mate, but lay of the karaoke to maintain good diplomatic relations. 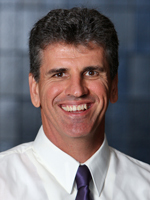 And what is it about basketball that is attracting discarded female pollies? Former state MP for Townsville Mandy Johnstone (now going by her maiden name Thompson) is now managing the Townsville Fire womens basketball team. And ousted NSW premier Kristina Keneally has just started as CEO of Basketball Australia. But then, perhaps it’s not so unusual for former politicians to have a link with basketball, since they both got bounced from a job that required a lot of dribbling. And unsuccessful mayoral candidate Dale Last is now a member of the Technical Advisory Group for the Bruce Highway. And before anybody starts braying about ‘jobs for the boys’, best to remember that Mr Last is a former walloper with more than two decades experience in policing, so he can be expected to provide the committee with sensible and expert advice. That report will be given to the government in October. On the job front, he has been winding down from the campaign and is now considering a number of avenues where he can employ his managerial talents (as a senior sergeant, he ran the Townsville police station). Finally, a couple of verbal misadventures, both coming from an interview on ABC Radio’s Country Hour. A reporter was interviewing a Mt Isa vet who had won an award for his work. This bloke rejoiced in the reputation as the region’s main pregnancy tester for cows. As the reporter so forthrightly put it (they always do on this bucolic broadcast), the vet’s job was to insert his arm up to the armpit in the cows behind, to feel if mum was with calf. This exercise in bovine surprise was often carried out as many as 1500 times a day! Apart from leaving behind many a bug-eyed cow wondering what the hell was that, our man was also modest about his award, surprisingly suggesting he was ‘just a front man’. Err, pal, maybe you need a compass, ‘front man’ is exactly the opposite of what you actually are. One trusts the correct answer is none, otherwise the Stock Squad might have to call on the assistance of the Vice Squad for a few surprise calls around the stockyards. Enough now, it is away to Poseurs’ Bar, where the old bird hopes to bebubble with a glass or three some female motorsport enthusiast, with whom he will discuss hot laps and pole positions. And while it might be a racy conversation, it will have nothing to do with cars. I am led to believe that was not a red jacket she was wearing,but a reflection of her face. Whoever snaps Dale Last up would be a very lucky organisation indeed. After all he has done for this community and the potential of what he can do, I can not believe that he has not been poached for a high faluting job somewhere. Hopefully the moaning mullett will fall on her sword (the sooner the better) and we can get it right next time. Sitting in Perth, I watched the races on TV and was impressed by the way Townsville was presented to the nation and the world. Unfortunately, the sophisticated image was totally shattered by the trophy presentation.Dinky-di bogan. Thanks for pointing that out - The 'Pie assumes you are right. At the time of writing, his shoes must have been too tight. Always entertaining. 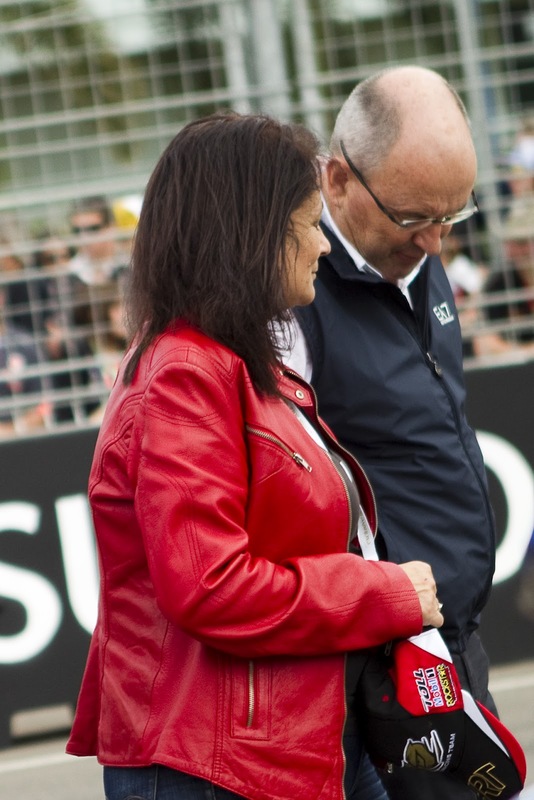 You have to lurv our mayor's racey red jacket! Actually, the Astonisher got the phot wrong - maybe even Mr Lane did too (I don't use Facebook). Last year at the V8's, Mickey Mouse demanded that an editorial staff give their media pass to another journalist who did not fill out their own. Media passes have medical information as it's considered by the V8 management as highly dangerous around the track.